Crowd pleasers include guided tours, demonstrations and tasty samples of sweet and salty treats. 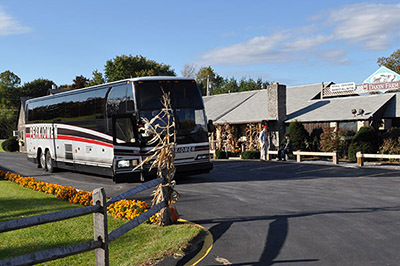 Dakin Farm welcomes group tours year-round at our Ferrsiburgh location. Sam Cutting, Jr. President of Dakin Farm enjoys giving tours himself, and is well suited to do so — after all, Sam has worked here at Dakin Farm since he was five years old! Sam will lead your group through the Sugar House, where guests can view photo collages, maple sugar equipment, rotating images of Maple Sugaring in Vermont and a short video of the Dakin Farm story. On certain days, guests can view staff bottle our own Pure Vermont Maple Syrup or smoking meats, spiraling hams or hand-waxing cheese.